When you first start trying to save money it can definitely be challenging, especially if you are used to saying yes to every whim and buying whatever you want. 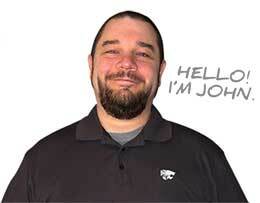 As I started to get real about saving money, I wanted to get to a point where it would become second nature to me. I was never terrible about overspending, but I wanted to stay motivated in my quest to be a better saver. I decided to keep written reminders of my efforts around the house, in my wallet, and on my refrigerator because I wanted tangible reminders of my savings goals. If I was ever out and tempted to spend some money that I didn’t need to be spending, I’d have a visual reminder every time I cracked open my wallet, and it actually worked. Thankfully, these money mantras are now second nature to me, and I can easily police my spending. 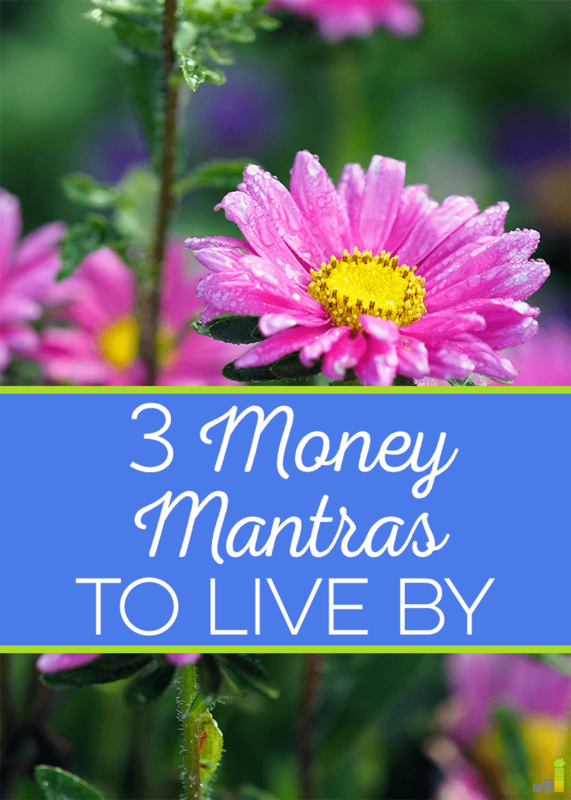 Here are my top three money mantras to live by. This mantra, which lives on my refrigerator, is one of my favorites and will be familiar to many because it is generations old. Frugal living wasn’t a choice in the Great Depression era that this mantra came from, when basic goods were rationed and many households simply didn’t have the money to spend on even the most basic needs such as food, clothing, and shelter. You had to be frugal. Sometimes when I’m tempted to make some silly new purchase, I think about what our grandparents and great grandparents had to live through in that time. It makes my longing for a new pair of shorts from Target seem trivial when I consider how my Granny used to wear patchworked feed sack dresses. If nothing else, this single phrase reminds me of how spoiled we are today. Learn to delay purchases and be satisfied with less. Learning to delay purchases was crucial for me when I began to make changes in my financial life. I used to love shopping, and I still love to shop for antiques, which can be quite expensive. Because I like to pop into antique stores, even just to look, I have mastered the art of delaying my purchases. By walking away from an item, I gain some perspective on whether I really need it or not. Often times, it’s just a want, and I will walk away and completely forget about the item within an hour. If I’m still thinking about a certain item after a day or two goes by, at that point I’ll give myself the okay to go ahead and purchase the item, but more times than not, the item has completely lost its luster to me. It’s funny how that works, and the more you practice delayed gratification, the more it becomes second nature to you. A big trend in the world of minimalism right now is the book The Life Changing Magic of Tidying Up by Marie Kondo. 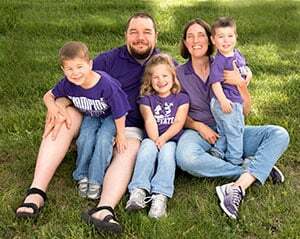 In it, she says that you should declutter your entire home over a period of a few months by touching every single item in your home and deciding if it sparks joy in your life or not. If it doesn’t, it gets the boot. By doing this, she claims that you will love your home and everything in it, because every item will be your favorite. Gone are the duplicate shoes, kitchen ware, and clothing, and this massive purge will aid you in preventing future purchases that you won’t absolutely love. The idea is that if you only use what you love, then you will not only reduce the clutter in your life, but you will reduce the need to go out to consume more in the future. I took this idea to heart on my journey to a minimalist and frugal lifestyle, and I haven’t missed a single thing I’ve gotten rid of. I especially love how it helps me cut needless spending by making me ask myself if a purchase I’m about to make will end up in the donation pile in a few months. Whatever it takes to help you save money, even if it seems silly or trivial, just do it. All of these seemingly insignificant money mantras have helped me put things in perspective and save money in the process. They are also great reminders that we already have more than we need, more things will not make us happier, and saving money is always a wise thing to do. What tricks help you be a more frugal person? Do you use visual reminders to help you save money? 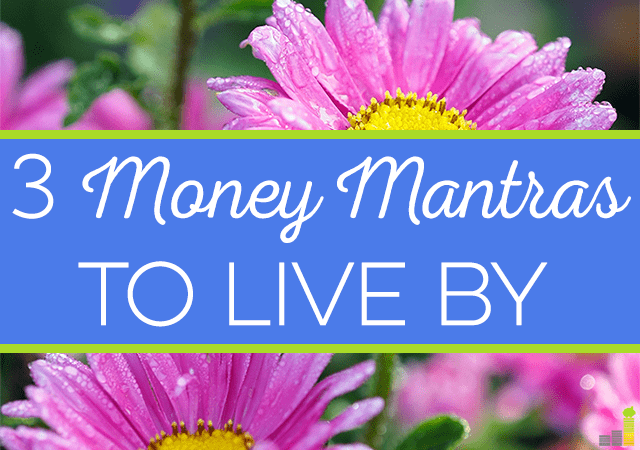 What money mantras do you live by? What room would you tackle first if you were going to declutter your house? I’m proud to say that now I know how to delay my purchase. Before, when I wanted to buy something, I immediately bought it without even thinking if I really needed it or not. I used to be the same way, but I’ve found that the longer you practice delayed gratification with purchases, the easier it becomes. Looking at those who lived in the Great Depression definitely provides the opportunity to live with a better money mentality. As we age and ‘forget’, I hope that the lessons learned from the more recent Great Recession serve to provide lessons for those now or soon to be trying to build financial success. Thinking about how people used to live back then really makes me think twice when I want something silly. We have it so easy now. Great article. Your Use It Up quote is going on my fridge, too. I know it’s common advice, but “Pay Yourself First” has always worked for me. Automating savings (both retirement and other) helps me make sure I am meeting my long-term needs. That ‘use it up’ quote is one of my favorites! These are great mantras. Unfortunately, I think a lot of people have to go through tough circumstances to really learn the lessons. When I want to buy something, it really helps to think of how much work time the item costs. An hour for something that will last a year isn’t bad but half a year salary for a new car is almost never worth it. Oh yeah, that’s another great trick. Yeah, I really wouldn’t want to work for 6 months just to drive a pretty red car. So not worth it! Of course, we have many debates about beauty (throw pillows are beautiful, I don’t care what my husband thinks), and useful (I’m still not sold on the utility of 50 paint buckets or a rock tumbler), but it’s still been a helpful paradigm. I recently went through my closet. If I couldn’t say without hesitation that I’d wear it in the next year, I took it out. I actually have room in my closet now! It’s not that I have a ton of clothes, but I have various sizes of clothing, since my weight fluctuates. But there are things that I didn’t even like wearing when I was bigger. So it’s time to dump it! By far, the most helpful one is to walk away. My husband has a hard time doing this, but he’s gotten better about it over the years. Awesome on the closet clean-out! I love that. It’s so addictive! I don’t really consider myself to be a minimalist in the strictest sense – I have too many pairs of shoes! But I do fully subscribe to loving what you own. If it doesn’t bring joy into your life, it is unnecessary. And it does very really good when you look around and you don’t see “stuff” but you see things that matter to you. Yes, I love that feeling of getting rid of all the clutter and only seeing things that need to be in your house. I’ve been really working on enjoying what’s in our home and seeing what is working for us and what isn’t. We have great gaming systems that were gifted to us that rarely see the light of day. Slowly but surely we are breaking them out again. Learning to delay gratification is a great mantra to live by. So many times people make impulse purchases that can change their financial state. Oh, my car isn’t running perfect, I am going to go buy a new car for $25k instead of spending the $600 to fix the used car that can do the job needed. I always practice delayed gratification and happy that I can save as much money as I want because I am in the end surprised that I no longer need the thing/product I wanted to buy in the beginning. This technique works on me most of the time.